We sweep and mop all floors, dust and wipe down all surfaces with anti bacterial wipes, clean out ovens, microwaves and fridges, clean under the furniture - not just around it and a whole lot more. If your property has a garden then we will ensure that the garden furniture is clean and the garden swept and tidy. 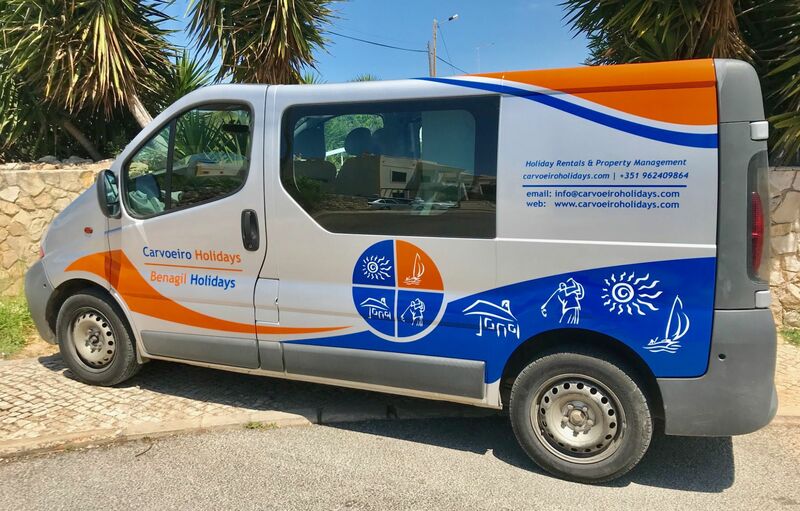 Benagil Holidays / Carvoeiro Holidays has a team of 6 full time cleaners who are working at Benagil Holidays for years now. Besides our cleaning team, we can offer your our maintenance services. Our maintenance team can take care of all kinds of jobs in your property. We also have a partnership with a professional laundry company who picks up the dirty laundry every day and returns it the day after. Washed, ironed, folded and delivered in plastic. 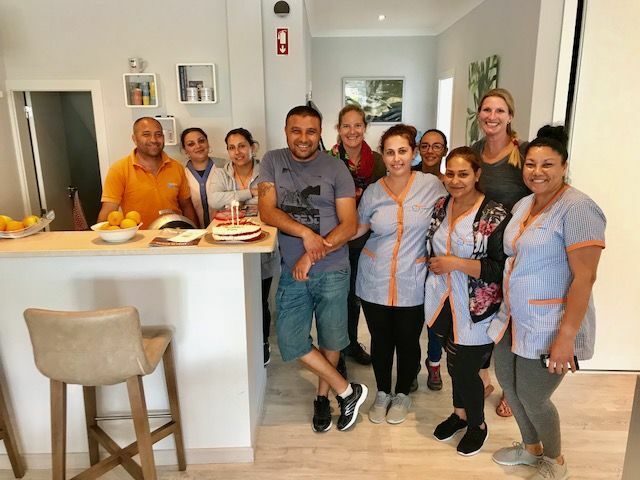 weekly changeover service for the arrival of new guests. One off spring cleans/house organisation. All linen and towels are cleaned professionally and at a very competitive rate. Window cleaning service at its best. We take care that you will have a clear see thru. At the end of a rental we check the property for any damage or loss and if necessary follow a reporting procedure to ensure this can be reclaimed from the security deposit.